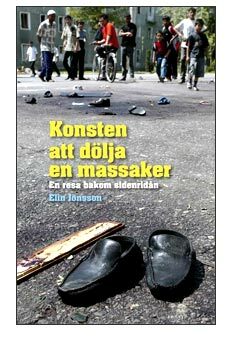 Elin Jönsson, a Swedish journalist, has recently published a book The Art of Concealing Mass Murder about the May 2005 Andijan events in Uzbekistan. Elin spent two years writing the book, which analyzes events prior to the turmoil, discusses details of a tragic day when troops fired at peaceful demonstrators on the square, and features personal stories of the Andijan refugees. While working on the book and producing a documentary about labour migrants from Kyrgyzstan, Elin Jönsson became a full-fledged expert on the region. Elin kindly agreed to talk about her book and documentary in the interview with Ferghana.ru. 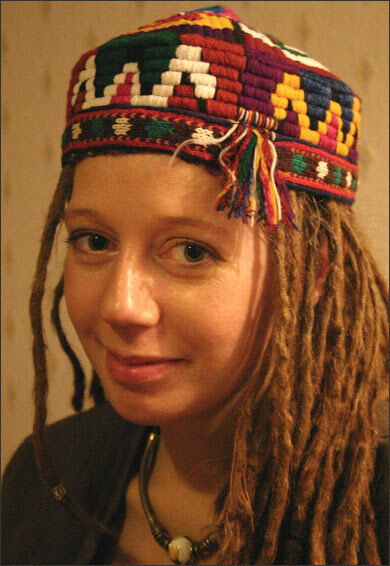 Ferghana.ru: Elin, when did you become interested in Central Asia in general and in Uzbekistan, in particular. Elin Jönsson: In 1992, when I was seventeen, I lived as an exchange student in a host family in Moscow. My host mother had connections in Uzbekistan and told me lots of interesting stories about this country, about rich history of Central Asia and its culture, which looked very exotic and attractive to me. When USSR started to disintegrate in 1991, I realized that all the newly independent countries will be separated by the borders and decided to finally travel to Kazakhstan and Uzbekistan. I took a train from Moscow to Almaty, then I went to Tashkent and Samarqand and came back. I made good friends in Uzbekistan, whom I visited in 2000 for the Press Freedom day. In 2003 I traveled around Central Asia for a whole month and prepared some good stories. In 2005 I was invited by the Swiss media support organization CIMERA to work as a news production consultant to the Uzbek weekly “Darakchy”. In May I was already working in Tashkent. When I heard about protests in Andijan, I immediately decided to go there, but did not know how to do that. I realized that in the Darakchy they did not want me to go to Andijan. There was no discussion of the protests, not to say publications. On May 13th I learned about the shooting in Andijan. When I asked chief editor of the newspaper about his thoughts on Andijan, he said “ I am too busy to follow it, I am not interested at all.” Then I understood I could no longer stay there and I left because I am a journalist! I literally ran away. I went to my friends who are freelance journalists and who worked for international media. They helped me to get an apartment, computer, telephone and we started to work together. We were calling to Andijan, took interviews. Later, I went to the city with one of my friends. It took us great effort to find a taxi driver who would agree to take us there. I did not have accreditation, I had only business visa and it turned out to be helpful. When we were stopped by police I pretended I did not know Russian and my friends said that I am an artist interested in works of local painters. At the checkpoint they registered me as an artist and when I was coming back from Andijan I bought some paintings to show them to the police at the same checkpoint. For several days we were taking interviews of the eyewitnesses of the Andijan tragedy. We were driving around the city, not in public transportation, of course. But once I risked and took a minibus, but my face was covered with a scarf. Ferghana.ru: What was the city like those days? Elin Yonsson: I barely saw the city because I had to hide on the backseat of the car, so that no one could see me. Most of the time there I stayed indoors in the houses of some people. However, I saw houses damaged by bullets on the Chulpon street, I saw bloody puddles on the ground, the theater, which caught on fire, a prison and a tank close to it. The city was strangled by fear and grief. People were outraged with the official ban on funerals. They wanted to share with their pain, but were afraid to do so. Whenever we went people were talking to us. But while seeing a microphone most of them got scared, some even ran away from our video camera. Sometimes, though, local residents would voluntarily approach us with their stories. I recorded plenty of interviews, forty-fifty hours long in total. All of them were telling their unique stories of that day, unique stories of their survival. And all of whom I spoke to had lost someone. During interviews many flinched from minor sound, gazed around, bursted into tears from fear. It was horrible. Police was everywhere, dressed both in official uniform and in ordinary clothing. I had an interview with one of those policemen who told how he was detaining people, who were then tortured until they confessed guilty for what happened. Ferghana.ru: Were you followed by security services? Elin Jönsson: Not in the first days. However, I suspect that one of the women we interviewed reported about us to the police. I met with a journalist Marcus Bensmann, who had been already shadowed in Andijan. When we were talking we saw two persons coming up and immediately guessed they were from security services. We managed to escape, but tracking us down was a matter of time. We had to rush, organized few interviews and left Andijan immediately. Ferghana.ru: Were opinions of people whom you interviewed similar or different from one another? Elin Jönsson: Sometimes they were similar, sometimes not. For instance, when asked about akromists, some would say they are criminals responsible for what happened in Andijan. Others would say quite the opposite – that they were very good people. But most of the interviewees who were on the square when shooting occurred said the protest was peaceful, there were many women and children participating. A lot of people who just passed by the main square that day got killed. Ferghana.ru: So, were these people unarmed? Elin Jönsson: Yes, they were. However, my interviewees told they had seen seventy armed men who stood near the building of the local administration, but the rest of the people were defenseless. Many of them did not know what was going on and came to the square out of curiosity because protest is something extraordinary in Andijan. Ferghana.ru: What did people talk about on the square? Elin Jönsson: About different things, very naïve at times. They said they wanted change in Uzbekistan, that they are capable of brining this change, that president Karimov is not aware of the situation and they wanted to open his eyes on what is truly going on. People were drawing on the example of Ukraine, saying “people in Ukraine stood till the very end and we will do the same if our problems are not addressed.” People were talking about their children who had to leave to work abroad, they were saying it is not right when young generation has to home to feed families. People who were released from prison also spoke to the public telling their stories of being in prison, stories of torture and hardships experienced there. Ferghana.ru: What do you think the Uzbek government could have done in that situation? Maybe Karimov did not have other choice back then? Elin Jönsson: Shooting at peaceful people is inadmissible. They should have warned people on the square. But they only warned people in the local administration. Also, they could have let children and women go, but instead the square was tightly surrounded by tanks so that no one could escape and then started shooting. When people understood what was going on they attempted to flee, but could not do so. I understand that Karimov was afraid that meetings in Andijan could set off chain reaction and spread all over the Ferghana valley and beyond. But it was not the first protest. People would go on the streets to demand justice when their houses were demolished on the border with Kazakhstan, when they could not trade on the bazaars, when they did not have gas or electricity. However, authorities did not expect that so many people would side with akromists, especially when police started arresting protestors. Usually protests dissolve after police raids, but it was not the case in Andijan. Ferghana.ru:You said that everyone you spoke to in Andijan had lost someone that day. How many people died, according to your estimates? Elin Jönsson: I do not know for sure because none of my interviewees knew. However, I think it could be one thousand. Ferghana.ru: So, unofficial estimates are more accurate than official ones? Elin Jönsson: For sure. I do not believe in official numbers. It was clear that many people died. Although people were not allowed to hold funerals, when we were driving around Andijan, it was obvious that almost in every second house people were mourning. Ferghana.ru: What do you think about Akromists? Who are they? Elin Jönsson: I believe they were indeed very respected and influential businessmen. People truly respected them because akromists were virtually performing the state’s functions – they created jobs, they paid salaries on time, had good benefits for employees. Their activities were very unusual and thus perceived as a threat to the state. But I don’t think they were organized to the level they were ascribed to. They were all very successful and smart guys who could work with alacrity and vim. They were not terrorists. Ferghana.ru: Did you meet with Andijan refugees in Europe? Elin Jönsson:Yes, I did. Many of them want to come back home. I made one interesting observation – some refugees have already returned to Uzbekistan. If all of them were terrorists, as the government claims, how come they were accepted back? All Andijan refugees who live in Europe dream of coming back home. 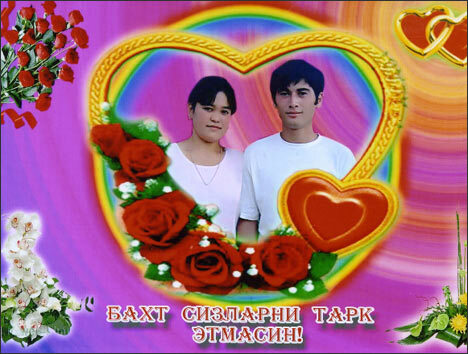 They felt much better living in Uzbekistan. It is very hard to survive in Europe and to find a job if you are not a European… it is very difficult to leave your home and settle in a foreign country. Ferghana.ru: What is a central idea of your book? Elin Jönsson: I wanted to tell how government can conceal truth about events of such scale and create new “truth” because the same methods could be employed by any other dictatorship. The book starts with description of the official version of the Andijan events. I never say this is a complete lie, however, as the story develops a reader can figure out what is black and what is white, and most importantly, how the “truth” was created. Uzbek authorities have been quite successful in coining their “truth,” they did everything to silence witnesses and press. Some of my interviewees who got in prison are still there now. Authorities created new “truth” skillfully using materials they confiscated from journalists and akromists. They produced their own video from those materials and showed it to the world. I saw this video. And the West did not know whom to believe because in this situation it was almost impossible to tell who was right and who was wrong. Indeed, the prison was attacked, the force was used, there were guns – all these facts are truthful. But I think, even if akramists were terrorists, government did not have right to shoot at them. Nothing can justify the shooting. It is very strange that Europe missed that point. Also, I feel that writing about Andijan is my duty because very few journalists were there on May 13 and many of them got their tapes and notes confiscated. Very few people can tell what really happened there. So many people died, so many people are tortured now, and the world is silent about it – this is unconscionable! People are still being arrested, and not in Andijan only, refugees are detained in Russia and deported to Uzbekistan. I felt ashamed that I worked there and left all these people I knew and my friends in fear. Alisher Saipov, who helped me a lot, was killed, other journalists and rights activist were put in prison. So many of my friends went through such hell, and I just left…This is why I felt urge to do something. When I came back to Sweden I was telling people about Andijan on the television, radio and newspapers. At some point I realized, I am the only one who has so much first-hand information from Andijan. And I started writing a book. Ferghana.ru: What was the most difficult while you were preparing a book? Elin Jönsson: The most difficult was to separate truth from lies. I had to compare my interviews, information from human rights activists and reports from international organizations like Human Rights Watch, Amnesty International. Then I assembled pieces of what appeared like truth to me as if it was a puzzle. Another difficulty was translation – most of my materials are in the Uzbek language, so it was a very laborious process of working with translators. I literally worked as a detective. I cannot claim I have the ultimate truth about the events. I do not know how many people exactly died there, I do not know about the intentions of all people who came to the square. I just want to show all the pieces I’ve got about those events. If the Uzbek government tells the truth, why doesn’t it allow independent investigation or denies access to information to journalists? If they were right they would allow investigation, but instead they concealed everything and created a new version of events. 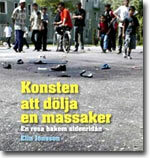 Three thousand copies of the book have been published in Swedish. This is quite a lot for Sweden. I plan to get it translated into German, English and, hopefully, into Russian. I know that people want to read it in Uzbek, but I need good translators for that. Ferghana.ru: Elin, your professional output is impressive. You’ve just published a book and now you are presenting a documentary about labour migrants. Tell us briefly about this work. Elin Jönsson: The title of the documentary is Love at a Distance. On the one hand, this film is about love, on the other hand the movie is about life of an ordinary person, who could be from anywhere, not particularly from Central Asia, because majority of people live and work for a better future, but while they do so they forget to live and enjoy this life. Documentary’s main hero goes to Moscow and while he is away his wife delivers a son. He misses the happiest moment a person can have in life! So, he sits there in Moscow looking at the photo of his child and he cries. The hero is from the Kyrgyz southern city of Osh, his name is Alisher Sultanov. For three years we have been observing his life. First, we went to Osh and posted an announcement on the television saying that we are looking for a guy between 18-25 years old who is going to get married and leave for Russia to work. We got sixty applications. We selected six finalists and after video test we decided to work with Alisher Sultanov. He looks very expressive on the camera, he can open up and show his feelings. We did shootings of his wedding, of his family, of his travel on the train to Russia where he worked at a construction site. Alisher could not earn decent money in Moscow and had to come back home. He still works, but continues to live in poverty. Ferghana.ru: So, you did not influence his life anyhow and just observed his life. Elin Jönsson: That’s right, we tried not to interfere. But sometimes it was impossible not to influence his life. When we were shooting Alisher at his work on the construction site, his employer was against it. When we were traveling with him on a train, Kazakh security services were uneasy that we were making a film. We had problems with the Moscow police. Basically, every scene in the movie was shot twice. It was very hard to produce the whole documentary. And I think by the end of it Alisher was very tired of us (laughing). And sometimes we were sad because there is no action in his life (laughing). We wanted tell a story of an ordinary labour migrant, his emotional transformation from a young boy to a man. We attempted to make a documentary, but in fact, ended up with a feature film. We used feature techniques on purpose and the movie turned out to be very romantic and beautiful. We have a very good camera man and the cutter who does and very good job at editing, putting the feelings out at the very front. When we showed it to journalists some were crying. Magnus Gretten, film director, is a very experienced professional. He has done dozen of films and for me this is the first one. However, my advantage is experience in Central Asia, in Moscow where I first had an idea about making a documentary because I saw how labour migrants lived near my house and how people were treating them. I met with women whose husbands were away, I saw how afraid they were that their husbands might find other wives, and they would be forgotten and abandoned. I was interested in this issue for a long time. Ferghana.ru: Who was funding this project and where can people watch the film? Elin Jönsson: We were funded by the Swedish Film Fund, Fund of Northern Europe and other Swedish channels. The premiere is yet to come. We are very happy that the movie was nominated as the best film at the international documentaries festival Nordic Panorama which will be held in Sweden. It was very difficult to participate in the festival, we had to go through a very strict selection process. 21 movies will be presented there. I really want to show this documentary in Moscow, so that people there could understand what it really means to be a labour migrant, and that it is very different from what they predominantly think about foreign laborers.